So, you've created your article... made it search friendly, added your images, share functions and are looking for this to generate some solid awareness.That is just part of the puzzle. More often than not your article needs an additional push or amplification to get it in front of your target audience. Taken as an individual tactic, content distribution may seem like a difficult chore. However when integrated with your virtual persona, keyword and content planning, most of the difficult work has already been done. Now you need to focus on finding your audience and getting this in front of them. As a recent article in the Social Media Examiner examiner noted, “Bloggers have a distinct advantage when it comes to spreading your message. 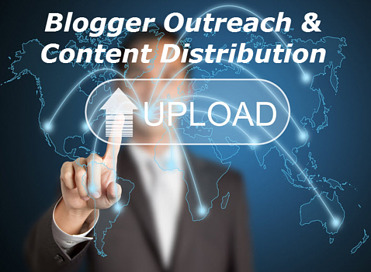 They have direct access to your target audience and can influence purchasing decisions with word-of-mouth marketing.” Thus blogger outreach is a critical part of one’s content distribution strategy. When it comes to content distribution, there are a variety of methods, manners, tactics and campaigns. In this post, we’ll share some of the best articles we’ve read recently to help you jumpstart your content success! This well written article, Kristen Matthews shares five ways to promote your brand through blogger outreach. Simon Penson, blogging on Hubspot, provides an in-depth strategic flow (with a lot of graphics) to help you build out your content distribution process. Do you think a solid content marketing strategy exempts your brand from needing to do outreach? Sorry, but it doesn’t. Check out these 25 awesome outreach tools for your smash business strategy. Gregg Freishtat of Outbrain explains the best practices in content distribution, where readers are most likely to click on article pages and more. So, given the lack of awareness, Copyblogger provided about a dozen examples of native advertising — and why they work. When it comes to content, we all want to grow our reach and authority. Unfortunately, the process requires some strategic insight. The good news is you will learn pretty quickly if you are consistently involved and working at promoting your blog. This article share ten things the author learned to be true from his experience. Looking for more ways to amplify your content without posting too much on Facebook/Twitter and annoying the hell out of your existing network? In this article, Brad Zomick, shares 15 places that you can promote your content. These are just some of the information that is available to help you created a powerful blogger outreach / content distribution plan. What has worked for you or conversely, what challenges have you encountered as you've focused on generating more awareness for your content?